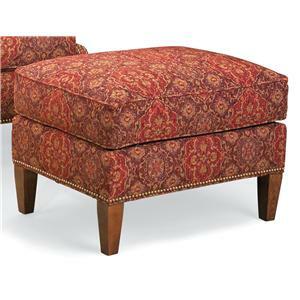 This unique ottoman is a country styled piece full of elegance and charm. 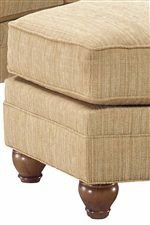 While a romantically shaped frame gives a charming oval-octagonal appearance, exposed wood feet and decorative welt cord trim provide a look of casualness. 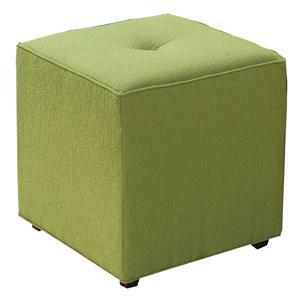 The perfect accent ottoman for formal to casual styled living rooms, this plush footrest is sure to provide your home with comfort. 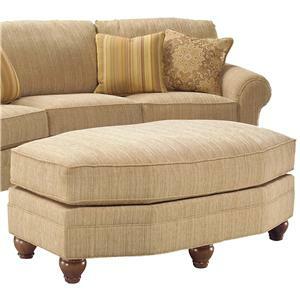 Coordinating curved accent sofa also available. 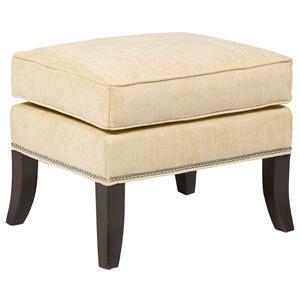 The 3768 Delicate Oval Ottoman by Fairfield at Stuckey Furniture in the Mt. Pleasant and Stuckey, South Carolina area. Product availability may vary. Contact us for the most current availability on this product. This casual collection reminisces of rustic elegance and charm. 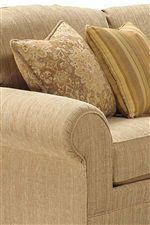 Composed of two stunning accent pieces with plush seat cushions and fine draped upholstery, this sofa and ottoman collection will accent your living room in style while providing you with relaxed comfort. 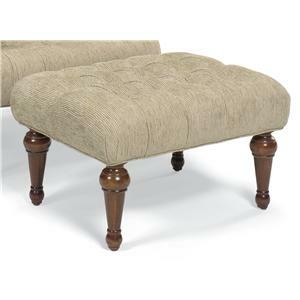 A curved sofa construction and unique ottoman frame provide just the right amount of charm while exposed wood feet and shallow rolled arms give the rustic charm of soft country homes. 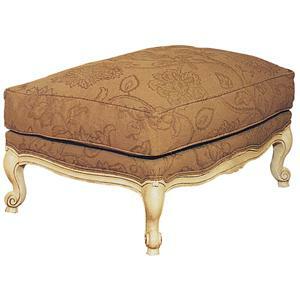 The perfect accents for casual to formal room settings, the pieces in this accent collection are true eclectic wonders. 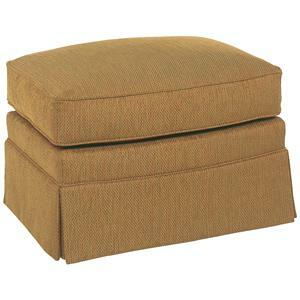 The 3768 collection is a great option if you are looking for furniture in the Mt. Pleasant and Stuckey, South Carolina area. 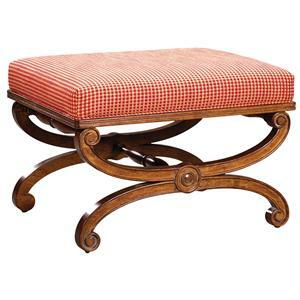 Browse other items in the 3768 collection from Stuckey Furniture in the Mt. Pleasant and Stuckey, South Carolina area.